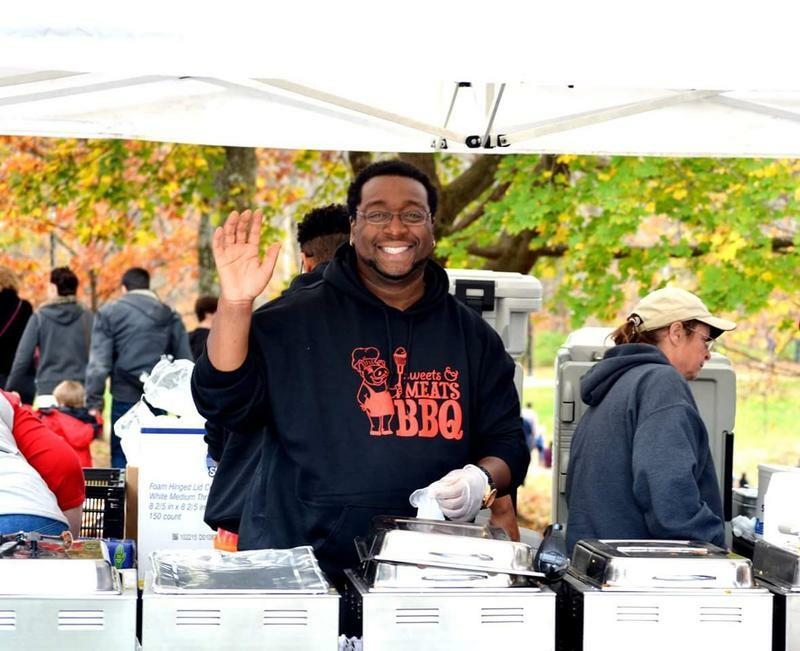 Anton Gaffney of the Sweets & Meats BBQ food truck is just one of the many chefs participating in this weekend's inaugural Wine & Food Experience. This Sunday is Father's Day, and if you don't yet have plans, there's plenty to chose from this weekend around the Tri-State. In this edition of the WVXU "Do" List, you'll find everything from Celtic fests and top chefs to environmental cleanups and too-cute charity events. The Celtic Festival takes place Friday through Sunday on the grounds of Renaissance Park (10542 East State Route 73, Waynesville), home of the Ohio Renaissance Festival. The lineup includes Rocky Creek, The Elders, Off Kilter, The Fighting Jamesons and more, plus Guinness and cider tastings and border collie demostrations. Friday's fun begins at 6 p.m., with tickets $5. Starting Saturday, one-day admission is $12, or get the full weekend for $18. Learn more about day-specific events and times at celticfestohio.com. Rock band Typhooon plays Fountain Square's free concert series starting at 8 p.m.
From 6-9 p.m., Art Beyond Boundaries Gallery (1410 Main Street) holds an opening reception for its summer exhibition, "HOT-ALLELUJAH T.H.I.S." (Thank Heavens Its Summer.) Various artists will present paintings, sculptures, photography and more, with wine and hors d'oeuvres served, all free. Lake Isabella (10174 Loveland0Madeira Road, Loveland) begins its six-week series of Friday Night Grill Outs, featuring live music performed by local artists and, of course, grilled food for purchase. Plus, the boathouse will be open for fishing and the playground for playing. It all takes place from 5-8 p.m.
Thirty area restaurants will participate in the inaugural Wine & Food Experience at Yeatman's Cove, taking place from 1-4 p.m. Cincinnati is the first stop on the 12-city tour that, in addition to local culinary talent, will feature chef Graham Elliot. Pre-sale tickets are $85; day-of, $100. Across the river in Kentucky, the Bridge Folk Music & Arts Festival kicks off at 10 a.m. along the Covington Riverfront. The day-long event features 10 local and national bluegrass, folk and indie bands, plus a kid-friendly Instrument Petting Zoo and Hula Hoop Clinic. Now in its 29th year, the Ohio River Sweep has seen thousands of volunteers take the time to clean up the river banks across the Ohio River Valley. Efforts are taking place starting at 9 a.m. across Ohio, Indiana and Kentucky, including here in the Tri-State. Find a location near you here. The Harmony Hill Winery (2534 Swings Corner Point Isabel Road, Bethel) joined forces with the Clermont County Animal Shelter for "Dogs and Wine," where you can meet adoptable dogs and taste -- what else? -- wine. Food from MamaBear's Gourmet Mac food truck will be available for purchase from 3-7 p.m., and the acoustic duo Honey Hush will play live from 5-9 p.m.
Ohio author Mary Stockwell visits the Lebanon Conference & Banquet Center (121 S. Braodway, Lebanon) to talk about her latest Ohio-based history book, "Unlikely General: 'Mad' Anthony Wayne and the Battle for America." The luncheon and book signining starts at noon and the $25 tickets must be purchased in advance. If you haven't yet made plans for Father's Day, you better -- and quick. The lone event we've been alerted to for the day is a visit by "the firefly lady" Lynn Faust to the Cincinnati Nature Center for a talk from 2-4 p.m. on her just-published guide to fireflies and glow worms.